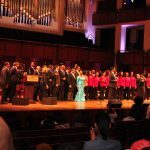 The Gospel Music Heritage Month Foundation (GMHMF) held its eighth annual “Evolution of Gospel” concert on Monday, September 12, 2016 at the John F. Kennedy Center for the Performing Arts in Washington, D.C. Grammy® Award-winning gospel artist and famed television host Dr. Bobby Jones and Stellar Award winning gospel artist Lonnie Hunter served as the night’s co-hosts. 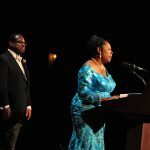 Congresswoman Sheila Jackson Lee and Foundation Chair, Carl Davis, along with McDonald’s ICGT Isaac Green welcomed attendees to the show. 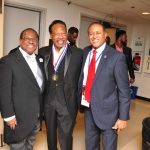 Gospel music legends Edwin Hawkins and Hezekiah Walker, philanthropist and Kennedy Center Trustee Reginald Van Lee and Congressman G.K. Butterfield (D-NC), Chair of the Congressional Black Caucus were this year’s honorees. 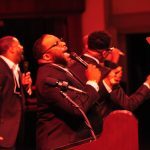 The “Evolution of Gospel” concert continues to solidify its impact each year. 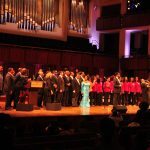 Last year the Foundation hosted the McDonald’s Inspiration Gospel Celebration Concert (ICGT) as part of their annual concert. 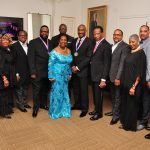 They continued that tradition as the IGCT brought many of gospel music’s brightest stars to the stage. 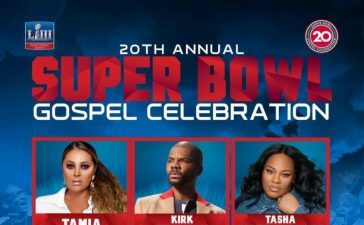 This sold-out concert featured Donald Lawrence, Marvin Sapp, Karen Clark-Sheard, Charles Jenkins, Jonathan McReynolds, Canton Jones and Doug Williams. The performances were exhilarating and turned the usually high-brow concert hall into a sanctuary filled with handclapping, foot-stomping and the call and response often found in a Sunday morning service. 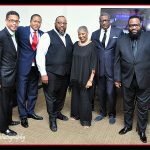 The night kicked off with a rousing, pulsating rendition of Pastor Charles Jenkins “War” as all of the ICGT artists joined in. What a great way to get the night started! To read about the ICGT performances, click here. The evening’s first honoree of the evening was Congressman Butterfield. 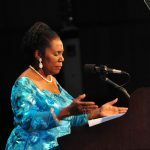 Congresswoman Lee paid tribute to her colleague who has championed causes that include affordable health care, education, investments in rural communities, veterans, renewable energies and federal programs that support low-income and middle class Americans. 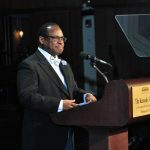 Minister Howard Watson shared the history of gospel music. After Watson passionately took the audience through the genre’s history, the tributes continued. Next up was the tribute to philanthropist and Kennedy Center Board of Trustee Reginald Van Lee. 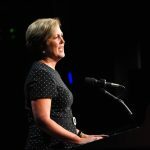 Deborah F. Rutter, president of the John F. Kennedy Center for the Performing Arts paid homage to Lee for his tireless work as a trustee and supporter of the arts. Lee was also honored for his philanthropic pursuits and commitment to making communities better. 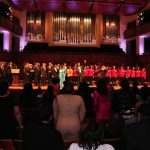 The Washington Performing Arts Society (WPAS) performed after the tribute for Lee, who serves as chairman of the board for WPAS. 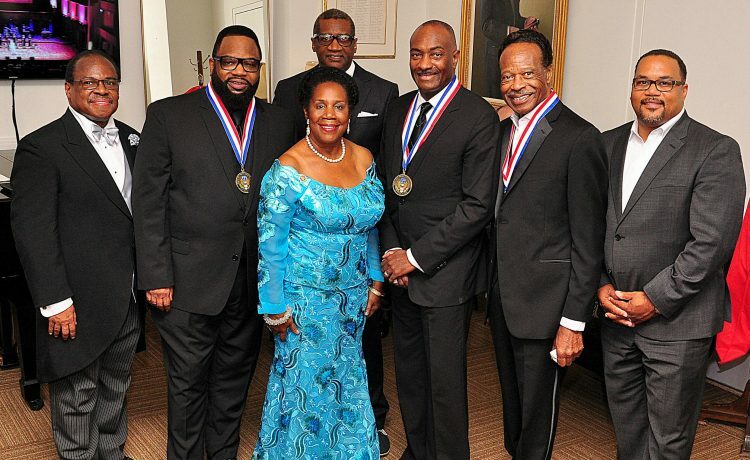 In 2008, Congresswoman Sheila Jackson Lee (D-TX) and Senator Blanche Lincoln (D-AR) led the passing of a resolution in both chambers declaring September as “Gospel Music Heritage Month.” In each year since its establishment, both local and global celebrations have been held to educate and entertain diverse audiences about the rich history and legacy of gospel. 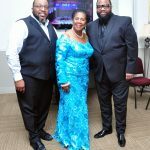 The Foundation was established six years ago to celebrate and educate people everywhere about the rich heritage of the gospel music genre through word and song by gospel music advocate Carl Davis. 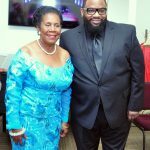 James “Jazzy” Jordan, ex-Officio of the Foundation paid tribute to Hezekiah Walker. 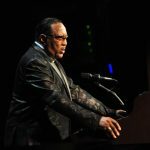 Jordan recalled the many songs from Walker’s portfolio that have become essential to the church world. 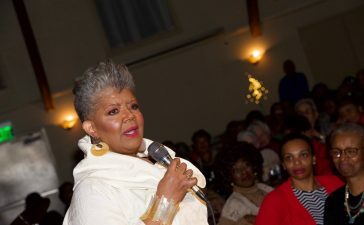 The audience erupted each time Jordan named many of Walker’s hit songs, evidence that the music continues to resonate. He also celebrated Walker’s spirit of humility. 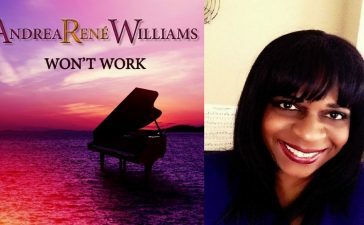 “To know him is to love him,” Jordan said of Walker, who has used modern vernacular and recording techniques to expand his fan and worship base. 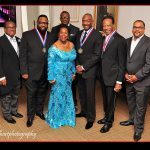 After a powerhouse performance by Marvin Sapp, the honorees came to the stage and received their medals which were presented by Congresswoman Sheila Jackson Lee, Carl Davis and James “Jazzy” Jordan. Each nominee gave a brief acceptance speech. 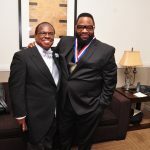 Hezekiah Walker chose to sing the opening lyrics to “Every Praise” as his acceptance speech. The audience joined in as well on the song that has become a modern-day church anthem. 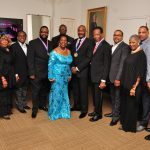 Many in the gospel community came out to lend their support and enjoy the concert. 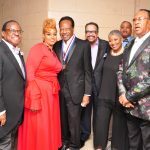 Spotted in the audience were Sunday Best finalist, Terrill Hall, composer Stephen Key, gospel music industry insider Pastor Jerome Bell, historian and former DC Host Committee vice chair, Jared Sawyers. 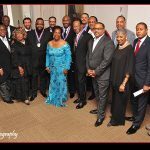 Also in attendance were famed civil rights activist Walter Fauntroy and Roslyn M. Brock, Chairman of the National Board of Directors for the NAACP. 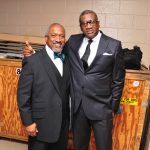 Ron Magnus, DC Host Committee Chair, continues to set the bar high in being instrumental in making the Evolution of Gospel concert one of the DC metro area’s premiere events. Each year the free,ticketed event has been sold-out. Magnus was surrounded by a great team that included Vice Chair, Kristen Taylor; production assistants Rev. 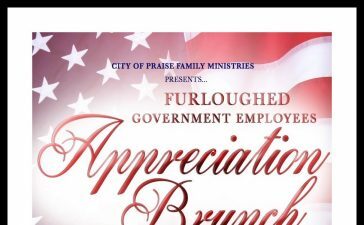 Maharold Peoples, Jr. and Roderick Giles; transportation coordinator Solomon Sparrow; talent team Kenny Taylor, Veta Smith, Deborah Bailey Reid, Sean Montgomery, De’Andre Taylor; and VIP ticket team, Durwin Lairy and Adam D. Winstanley.